The one constant for any shipment is that there is always a land transport element to it. At some point, your shipment is in a truck on his way to your final destination. 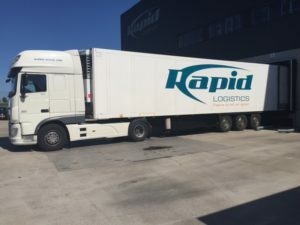 The key to Rapid logistics’ success in land transportation is having the tools that allow us to keep our customer informed with accurate information about the kind and status of the transportation. When you outsource your land transportation functions, you want a partner who gives you everything you need and at a competitive price with highly reliable door-to-door services. Our extensive network becomes an extension of your business with excellent providers who know the local markets and understand all the compliance requirements. That local expertise’s important when delivering quality service. 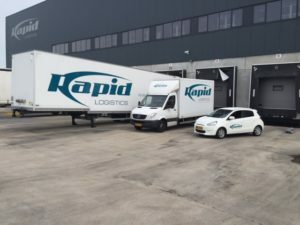 That ease of Rapid logistics allows you to concentrate on the key elements of your core business and we take care of the details. Daily frequencies within each market between major cities create a consistent service and delivery level that our customers enjoy. Whether your shipment requires truckload, partial load, or expedited, we have relationships with carriers that can manage any type of shipment that you require. Examples of this kind of businesses are furniture shipment, high-tech products transportation and special goods like fresh products that need specific equipment for a beneficial transport. We can route, manage and schedule all your shipments with our global comprehensive planning tool. Optimizing and tracking maximize yield, increase load capacities and provide real-time performance reports.